Hello, Wild Things: Holiday print outs for you! 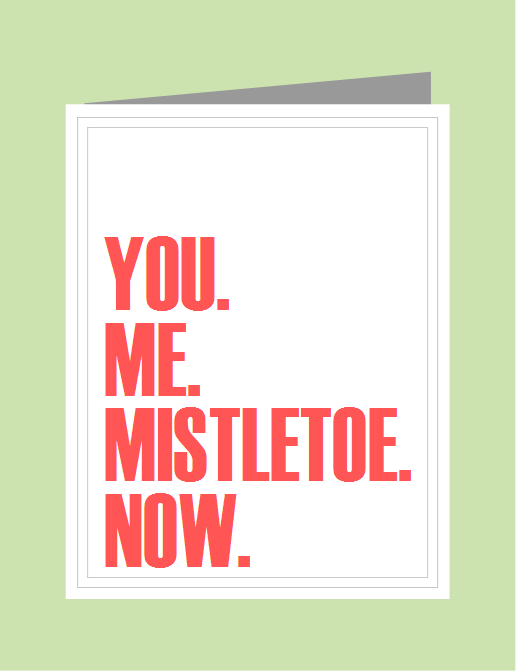 So, armed with your newfound knowledge, I think it's time for you to take advantage of my gift for you to print out... Mistletoe! I've been into this stuff ever since I made my own and hung it up above my table, which you can see in my post here. 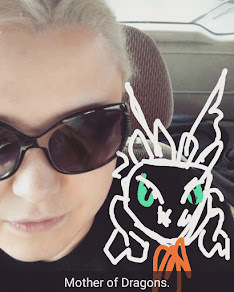 So I decided to extend the joy to you guys! I've got two cards that you can print out and use to your heart's desire. Maybe to get kisses from your significant other. Or you crush. Or your cat. Whatever floats your boat. 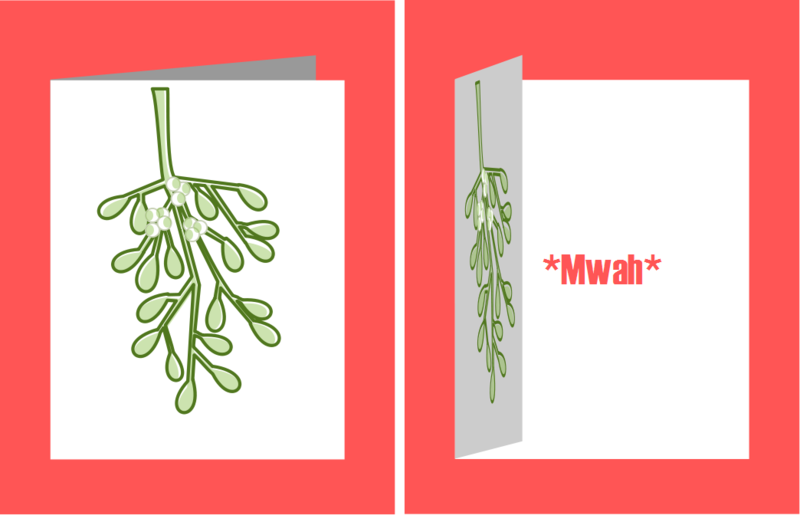 And a bonus sprig of paper mistletoe to print and cut out and hang wherever you think would be most handy! The files for this project can be downloaded here.